The industry veteran has more than three decades of work experience in finance. Former NASDAQ Europe Vice Chairman Hans-Ole Jochumsenhas joined the advisory board of Concordium Foundation, a Swiss non-profit working on blockchain development. The industry veteran will guide the firm to maintain its compliance with regulatory frameworks along with expert guidance in taxation, know-your-customer (KYC) practices, and transaction provenance, according to Coindesk. Jochumsenhas is very optimistic about blockchain technology and believes that it will radically reduce the cost and time of global transactions in the financial sector. He also revealed, that during his tenure at NASDAQ, he was a part of several blockchain-based projects including the development of blockchain-based electronic voting for the shareholders of NASDAQ’s Estonian branch. “Many people forget that what we see with the financial institutions is that you have a very complicated setup, every county has its own approach, and if you need to do something globally, it’s extremely complicated, and even if in the end the task is solved, somebody has to pay for it, and it’s the customer…In Concordium, there is a great vision for something that financial industry worldwide needs,” Jochumsenhas told Coindesk. 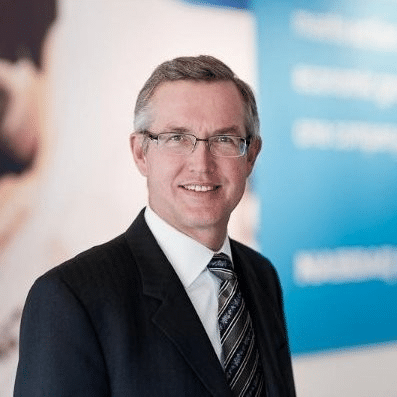 Jochumsenhas had a long career in the financial sector and retired a year ago as the vice chairman of NASDAQ Europe after serving the organization for around a decade. In his 30 years long career, he worked at many financial institutions and held leadership positions in most of them. Concordium was founded by the founder and ex-CEO of Saxo bank Lars Seier Christensen. Working as a non-profit, it is developing a cryptocurrency with a built-in compliance function. The firm is aiming to launch its proof-of-stake-based testnet in next month while the beta launch is scheduled for Q3 2019.